The mission of the Legal Services Corporation is to promote equal access to justice in our Nation and to provide high-quality civil legal assistance to low-income persons. Achieving our goal requires increasing the public’s awareness of legal rights, remedies and organizations that are available to provide legal assistance. Black History Month is an opportunity to promote that goal. LSC’s Black History Month observance includes the “Bertrand ‘Randy’ Thomas Partnering for the Future” project, which focuses on creating opportunities to encourage, strengthen and inspire young people who may feel that success is beyond their reach. Since 2006, LSC has partnered with local D.C. and Maryland schools. The goal of the project is to educate youth about the variety of careers that support the equal justice mission and delivery system. Additionally, it has afforded LSC the opportunity to model leadership and mentoring development in the community. The project has included several panel presentations by LSC staff at the schools that focused on career and life-building skills. In addition, students attending the LSC Black History Month program have the opportunity to meet prominent African American leaders who participate as keynote speakers. Past keynote speakers include: Congressman John Lewis; Congressman Artur Davis; Congressman John Conyers; Maryland Chief Judge Robert Bell; U.S. Attorney General Eric Holder; Kim M. Keenan, General Counsel of the National Association for the Advancement of Colored People (NAACP); and Marian Wright Edelman, President of the Children’s Defense Fund. The “Bertrand ‘Randy’ Thomas Partnering for the Future” project has a positive impact on the students involved by allowing them to envision greater possibilities for their lives, and it has been a wonderful opportunity for the LSC staff to give back to the community that it serves. 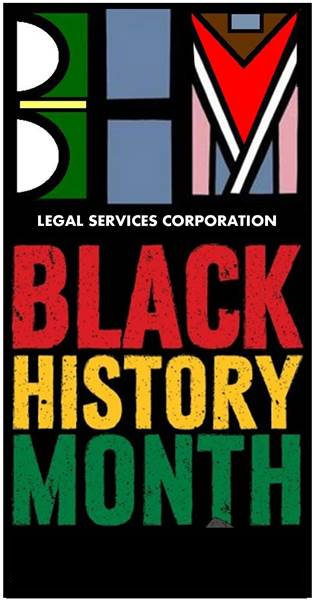 This year, the Legal Services Corporation Black History Month Student Challenge theme is “African Americans in Times of War.” Please see the links for detailed information on the Black History Month Student Challenge.